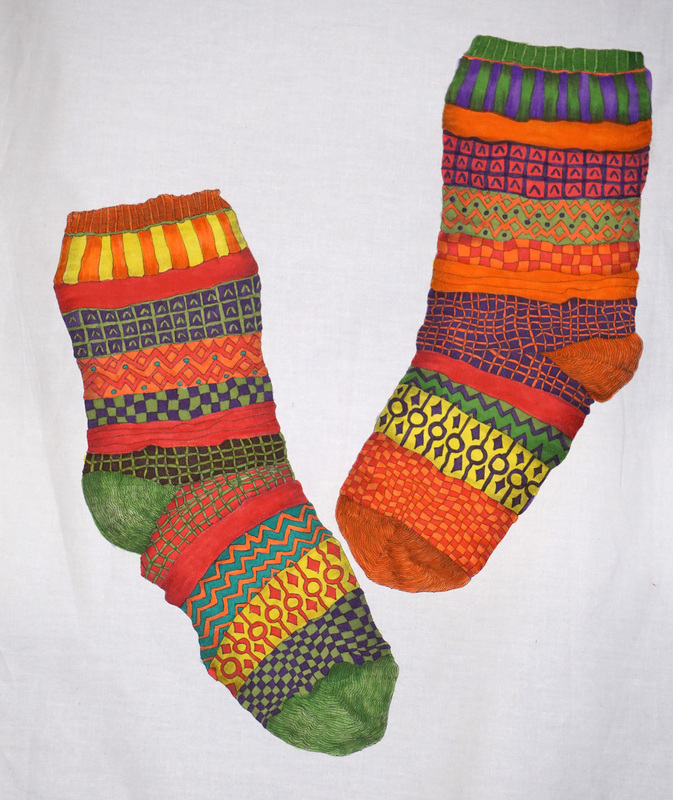 Sockittome – Challenge, now for the quilt compostion. You will remember that the socks were drawn on white fabric. I ironed fusible web onto the back of the fabric and cut them out very accurately. The next step was to audition the socks on different backgrounds, however, I came to the decision that they look best on a plain color and I chose, turquoise Cherrywood fabric. I want to add the orange vintage knitting needles at the top and they would get lost on a patterned fabric. However, I discovered something when I placed them on the background. I hadn’t removed the tracing paper from the fusible so they were a little stiff and they threw a shadow on the fabric underneath. So I’ve photographed them, and I will use the photograph to illustrate the shadow onto the background fabric and then they will look dimensional. Today I practiced with the couching foot on the Sweet 16. I really wanted to use a pearl cotton to create a ball of wool and the thread coming off the needles. But I think I need thicker wool. The plan is to have 5 couched balls of wool in orange, purple, green, red, yellow, at the bottom of the quilt and the strands of wool will wind from the needles down past the socks and into the wool balls. !!!! well that’s the plan. Who knows? What great ideas… shadows, balls of yarn and knitting needles! I kind of like the texture and shadows of the folded background fabric. It would be interesting to utilize that in some way to create a uniform background. I think the shadows will make it. Thanks Wendy. The socks look so realistic – congratulations. Your idea of couching yarn to represent balls of wool sounds fabulous. I do hope you are successful with that technique. 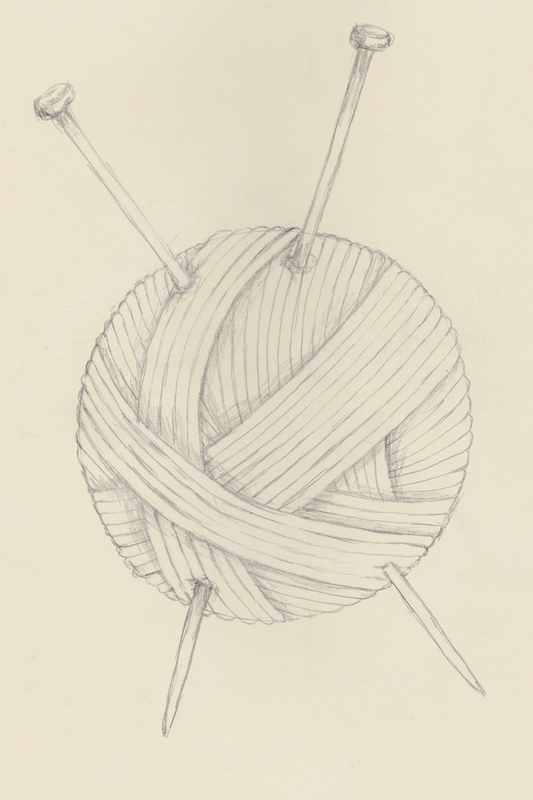 I have had the thought that if you are successful with representing the balls of yarn would the knitting needles look more realistic if the points of the needles were up, rather than down as that is the way they would appear when you knit? Thank you for all that you share and inspire people like me to keep pushing my boundaries. Your socks are fabulous, but they pose a question about “what constitutes a ‘pair’?”. Like your approach to the shadows. Will you do the knitting needles too? Next PostCarrefour European Patchwork 2014, Marie-aur-Mines.